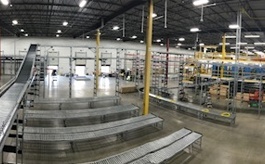 Our Alsip, Illinois, expansion includes an intelligent conveyor system, voice picking technology and more, making it our smartest facility yet! 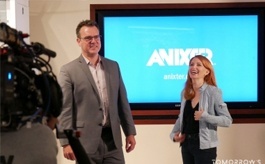 Anixter will be on Science Channel’s Tomorrow’s World Today sharing new breakthroughs in smart building technology. Get insight from Axis CTO, Johan Paulsson, on some trends that Axis believes will have an impact on the business and industry. 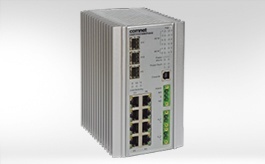 This range of 11 port hardened Ethernet switches are loaded with features and provide the benefits of advanced research and development. "An optimal and cost-effective solution, the ceiling PoE switch is compatible with any IEEE™ 802.3af or 802.3at PoE lighting fixture. CommScope's ceiling connector assembly eases installation and provides consistent termination and superior performance. 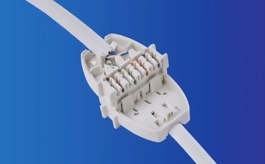 Benefits of Power over Ethernet Panduit's Category 6A MaTriX solutions include a foil tape that dissipates heat rise to protect signal integrity. Arecont Vision Announces AV NVR All-in-One Series The new AV NVR will address customers' specific needs of an NVR platform for their small to midsize project requirements. Networked EAC and Biometric Access Cards from Chatsworth Introducing two cost-effective access control solutions - Networked EAC Swinghandle Kit and Zwipe Access Cards with Biometric Authentication. AXIS and Simons Voss: Intelligent Wireless Lock Integration Unlock the possibility of open seamless integration with Anixter, Axis and SimonsVoss for secure access control requirements. Nomadix Alloc8–X and Bandwidth Management Appliance The Nomadix Alloc8 allows you to monitor, analise and manage all network traffic to identify applications consuming the most bandwidth. Simpler Certification of High-Performance Data Center Networks CommScope’s exclusive SYSTIMAX® link loss calculator will now be incorporated in Fluke Networks’ CertiFiber® Pro Optical Loss Test Set. 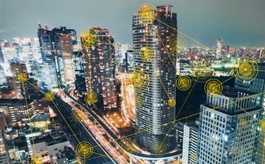 Best Practices for Testing Parallel Optics in the Enterprise Attend VIAVI's webinar on February 27 to learn best practices for installing, certifying and maintaining data centres with MPO connectivity. NEW: Austin Hughes Intelligent Automatic Transfer Switches For rackmount IT devices that aren't designed with power redundancy, InfraPower Intelligent ATS provide power fall-back for data centers. 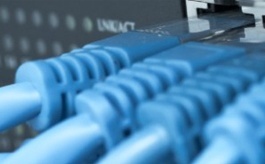 Transition Networks ION 4221 Network Interface Devices By using the C4221-4848 in an ION chassis at a customer's site, service providers can deliver tiered Ethernet bandwidth from 1 to 10 Gbps. Anixter Reports Fourth Quarter 2017 Results Anixter reported sales of $2.0 billion for the quarter ended December 29, 2017, a 6.3% increase versus the prior year quarter.